Supporting student parents to graduation and beyond. The MSU Student Parent Resource Center offers a supportive environment to obtain information and resources for ALL student parents and their families on and off campus. Our staff combines expertise and experience in college course instruction, academic advising, and referrals to community resources for a variety of services. Kimberly Steed-Page is the Director of the Student Parent Resource Center at MSU. She also serves as a per-course instructor in the School Social Work. 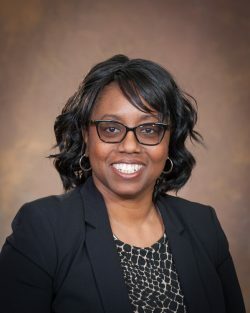 Kim has worked at MSU for sixteen years, having previously served as Coordinator of the Chance at Childhood Program and as a Graduate Academic Advisor and Clinical Faculty member in the School of Social Work. She holds a Bachelors Degree in Social Work (BSW) from the University of Texas-El Paso and a Masters Degree in Social Work (MSW) from MSU. Kim’s passion involves helping college students, children and families reach their greatest potential. She believes, “when student parents succeed, their children succeed.” Her goals as Coordinator for the SPRC are to increase campus and community awareness of student families at MSU, increase services and support for student families, improve outreach to area schools and teen parents regarding opportunities at MSU; and support student parent self-advocacy. Laraine Denese Walton is the Administrative Assistant for the Student Parent Resource Center. She began her work with student parents at MSU under the former department The Family Resource Center in 2008. Laraine has worked at MSU for the past seventeen years in various academic and non-academic units. She volunteers on many different committees at the university such as; Race or the Place – MSU Safe Place’s 5k Run/Walk, Outstanding Supervisor Award Committee, member of the diversity and inclusion group Creating Space for Inclusion (CSI) Spartans, the Fatherhood Forum, and previously on the Outstanding Woman of the Year Award committee. Laraine holds an Associates Degree from Lansing Community College in Human Services with a Concentration in Family Studies, a Bachelors Degree from Siena Heights University in Community and Human Service with a Concentration in Family Systems and a Masters Degree from Central Michigan University in Human Resource Administration. 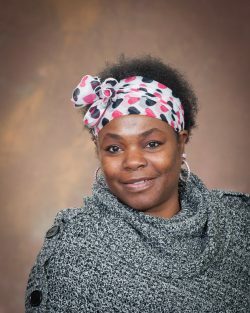 Laraine is most passionate about working with college students and their families as an advocate, mentor, and a resource for information and programming to assist them in navigating through college life on their path to becoming successful graduates of MSU.